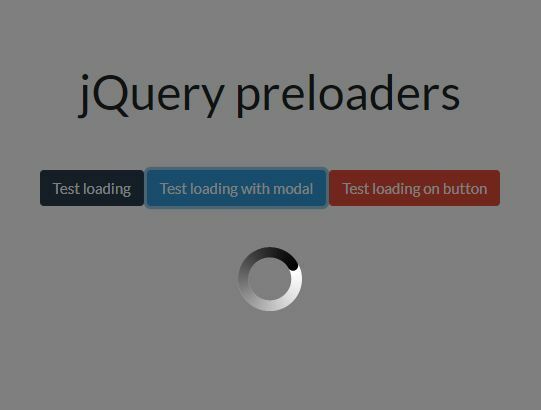 jmyloader is a jQuery plugin that creates a circular content loader at the top right of the screen to indicate the loading progress. 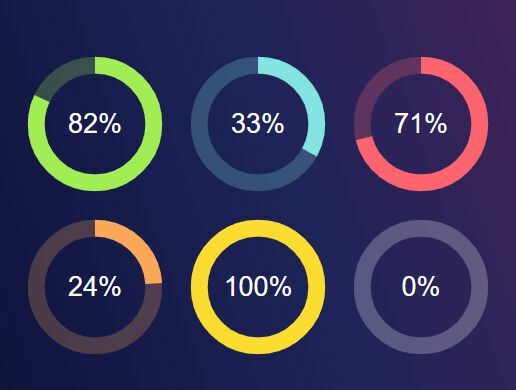 Made with D3.js, doughnut.js, CSS3 and jQuery. 1. 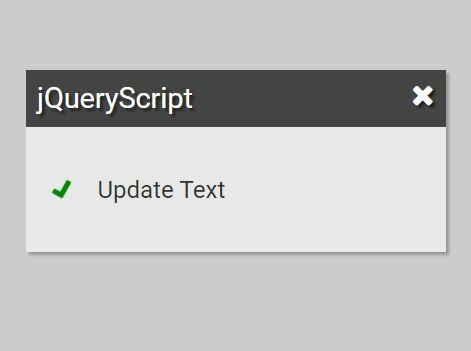 Load jQuery library and the jQuery jmyloader plugin in the document. 2. 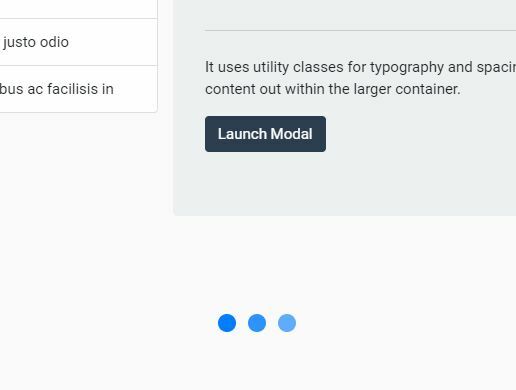 Load the required jmyloader.css in the head section of the document. 3. 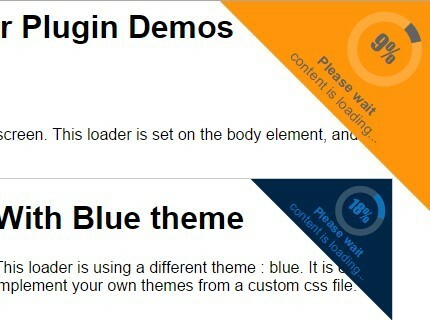 Call the plugin to display a content loader on page load. This loader is set on the body element, and can be used by any element of the page. * size of the loader. A value in pixels should be given. * should the loader be hidden at start. (so we can show it later). * class to be added to the container at the initialization. * main class to be added to the jmyloader element. * class to be added to the container that will contain jmyloader. * class to be added to the wrapper. * class to be added when jmyloader is visible. * theme to be applied. This theme should be defined in a css file. * What type of spinner is required. * image for any animated or fixed image. 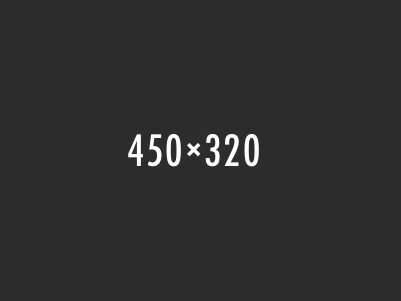 * image to load in case the spinner is an image. * this image should be in the css directory of the plugin. * What text is to be displayed. * Mainly for internal use. Don't touch. * width of the doughnut. 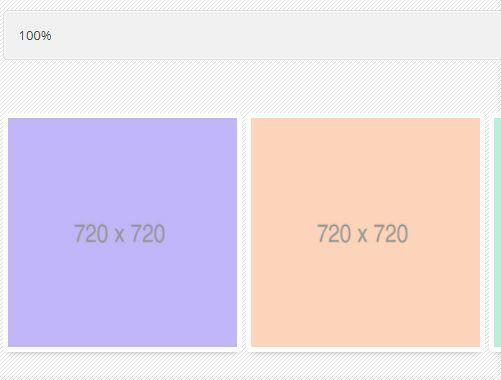 * A value in pixels, or auto to size it automatically. * Height of the doughnut. * Size of the text inside the doughnut (percent). * Duration of the animation. * Duration of the transition. * It is the animation of the doughnut from one value to another one. * Thickness of the doughnut. This awesome jQuery plugin is developed by kevinmuller. For more Advanced Usages, please check the demo page or visit the official website.